San Joaquin General Hospital is seeking candidates to join a team of friendly staff committed to creating a warm and personal environment which is sensitive to both a patient's emotional and physical needs. This ideal candidate will have the ability to demonstrate the clinical skills and administrative knowledge of an experienced acute care nurse. This candidate is a highly motivated individual with a strong work ethic, excellent communication skills and should be comfortable working in a fast-paced, team-oriented environment. Pre-Employment: Prior to employment, candidates must successfully pass a pre-employment drug screening and pre-employment physical health exam. Please note that as a condition of employment, candidates selected must successfully pass a California Department of Corrections and Rehabilitation (CDCR) background investigation conducted by the CDCR. Candidates must maintain their CDCR clearance for continued employment in these units.  This recruitment is being conducted to fill one Staff Nurse V - Inpatient Clinical Educator position in the Medical Guarded Unit at San Joaquin General Hospital. This recruitment will also be utilized to establish a list for future vacancies as they occur. Resumes will not be accepted in lieu of an application. A completed application must be postmarked or received online by the final filing deadline.